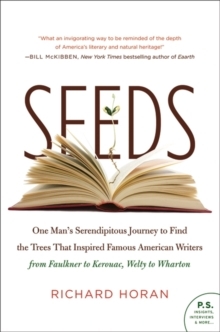 "Seeds reads like the best of a roundtable discussion amongst John Muir, Bill Bryson, and David Sedaris. From the fields of Gettysburg to the home of Kerouac, Horan takes an unlikely premise and weaves it into a story that's poignant, insightful and unexpectedly humorous. 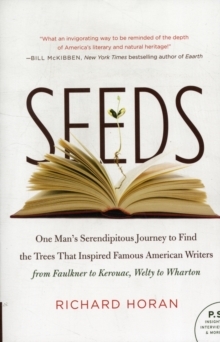 This is more than a book about seeds-it's about literary heroes, forensic forestry, and self-discovery." -Spike Carlsen, author of A Splintered History of Wood The Orchid Thief meets Botany of Desire meets Driving Einstein's Brain in Richard Horan's Seeds, the chronicle of one man's quest to understand the influence and impact of trees in American life and literature-and his mission to collect seeds from the homes of Kerouac, Welty, Wharton, Kesey and twenty other authors, to preserve the literary legacy of American forests for generations to come.